I ran three polls recently, and got some interesting results. 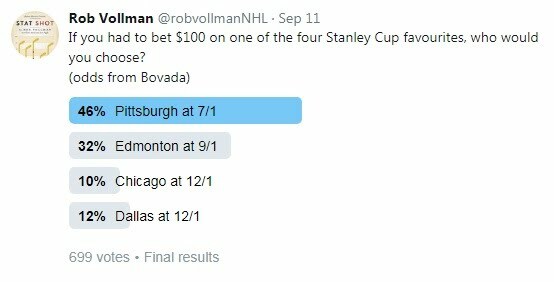 Further to the Stanley Cup odds in my previous post, I first asked which of the four identified favourites people would be most comfortable actually betting on. 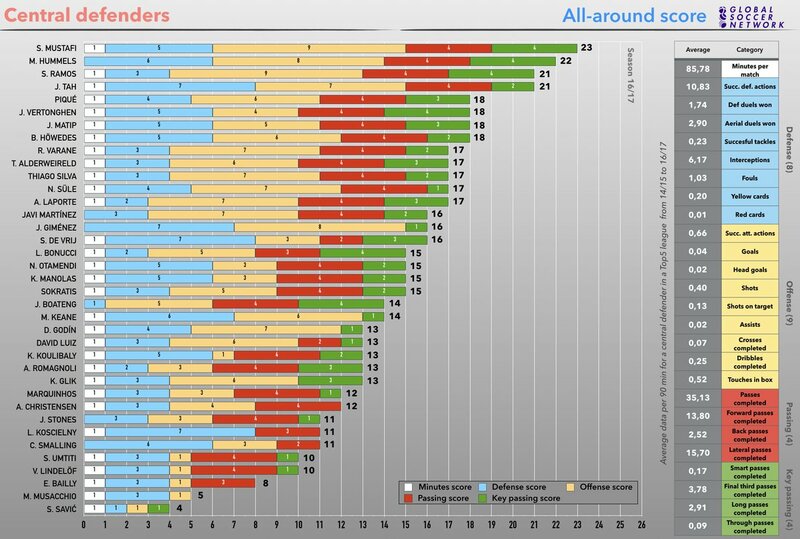 It may be a case of recency bias, but apparently Pittsburgh winning for the third consecutive season is the safest bet. So it seems like Pittsburgh over Edmonton is the consensus favourite, as we get set for pre-season. I certainly see the logic to it, and I can't necessarily come up with a scenario that is significantly more likely than that. The next poll was about the Ottawa Senators. Erik Karlsson will miss the first few weeks of the season recovering from foot surgery, and then will have a brand new partner, since Marc Methot was selected by the Vegas Golden Knights in the expansion draft, and subsequently dealt to the Dallas Stars. Who should be his new partner? Rookie Thomas Chabot, apparently. That puts a lot of scoring on one line. I spoke with one insider, who confirmed that Chabot is in a good position, but also mentioned Johnny Oduya, and even Ben Harpur. There were also a lot of write-in votes for Fredrik Claesson, and at least one fan mentioned Chris Wideman. There are certainly a lot of options for coach Guy Boucher to consider. My third poll was about the Columbus Blue Jackets, and which individual was most to credit for last year's stunning improvement of 32 points. Unsurprisingly, Bobrovsky topped the list. If it's true, and Bobrovsky was the reason they vaulted up the standings, then they could be in trouble. Bobrovsky's save percentage is bound to drop by up to 10 points, and certainly has the potential to drop even further if he has a bad season. In my view, they would have been a playoff team last year even with an average performance out of Bobrovsky, which should remain the case this season. Before I wrap up, I wanted to mention how the do-it-all index has now made its way to soccer. A lot of the stats we have innovated here in hockey were ripped off from baseball, so it's neat to see one of ours ripped off for another sport. As for hockey, the next thing I want to see ripped off is the NFL's Fourth Down Bot. It reviews every fourth down situation and statistically calculates the right play, whether that's to punt, kick a field goal, or go for it. Most of the time, NFL coaches prove to be too conservative. In hockey, I'd love to see a Pull The Goalie bot. In each game, it would calculate at what time the goalie should have been pulled, and compare that to the actual time the goalie was pulled. Let's see if someone follows through on this idea, because it would be a lot of fun.